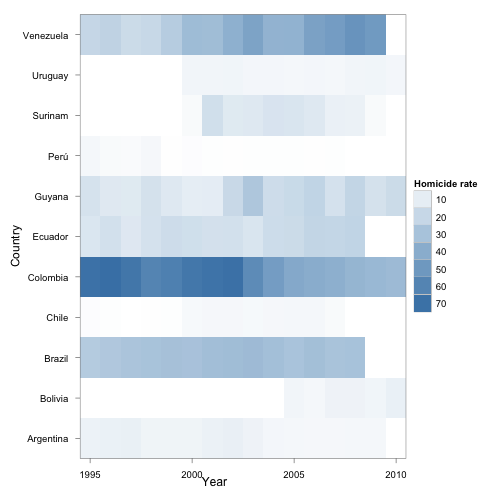 A pint of R plotted an interesting dataset: intentional homicides in South America. I thought the graphs were pretty but I was unhappy about the way information was conveyed in the plots; relative risk should be very important but number of homicides is very misleading as it also relates to country population (this problem often comes up in our discussions in Stats Chat). I hope others will download the data and provide much better alternatives to display violence. If you do, please add a link in the comments.